Believe it or not, I like simple appetizers. So it’s a bit difficult for me to put one out there where the vegetables have to be cooked for almost an hour. Especially when we’re talking about dip, something that’s traditionally just powdered flavorings tossed into some sour cream. But–give me a second, I’m climbing up on a soapbox–a lot of the dried soup mixes typically used to make spinach dip have both MSG and hydrogenated oils (trans fats). MSG gives me heart palpitations so I stay away from it whenever I can. Trans fats are just bad for your heart, ridiculous and unnecessary. We won’t even talk about sodium content. By slowly cooking the vegetables and caramelizing everything, and roasting the garlic, you develop a ton of flavor that makes up for all the enhancers and synthetic stuff in the prepackaged mixes. Yes it takes a little longer… Do it while you’re watching that show. You know the one. 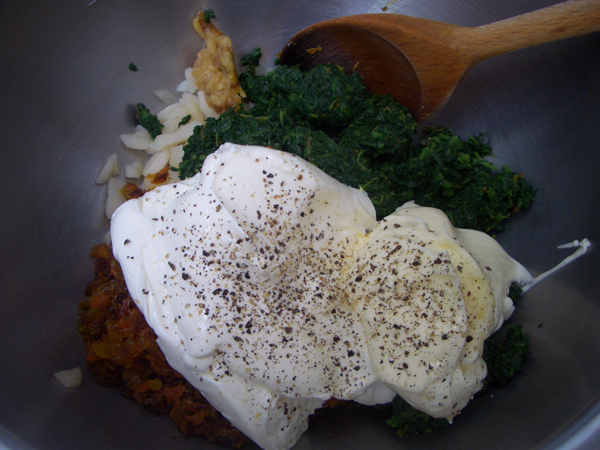 Make sure the spinach is as dry as possible or your dip will be soupy. The best way is to take you impeccably clean hands and squeeze the water out. Over. And over. 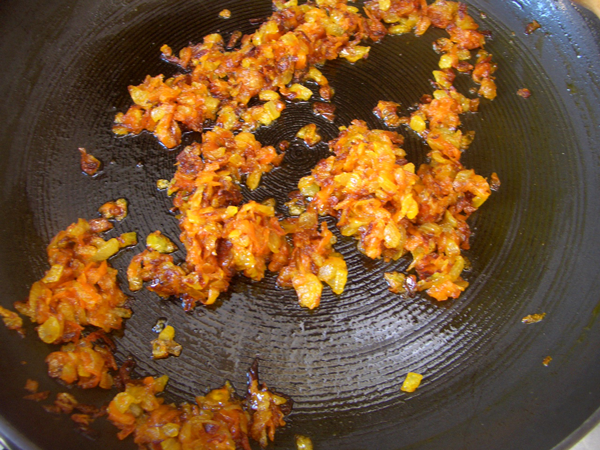 Cook the onions and carrot in about 4 tablespoons of oil over medium/low heat until caramelized, about 1 hour. 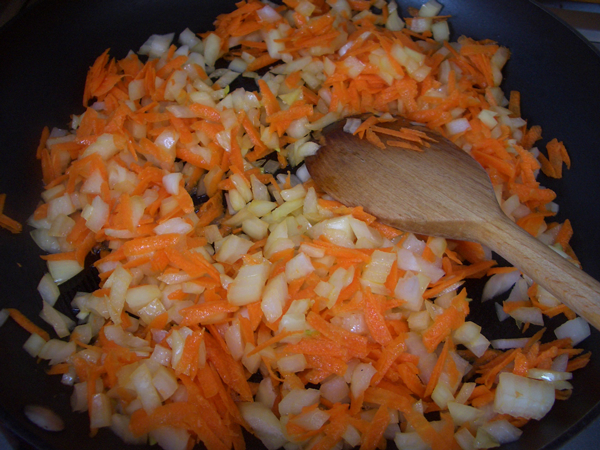 Stay close and stir frequently so the vegetables don’t burn. At the same time, preheat the oven to 350F/175C degrees. 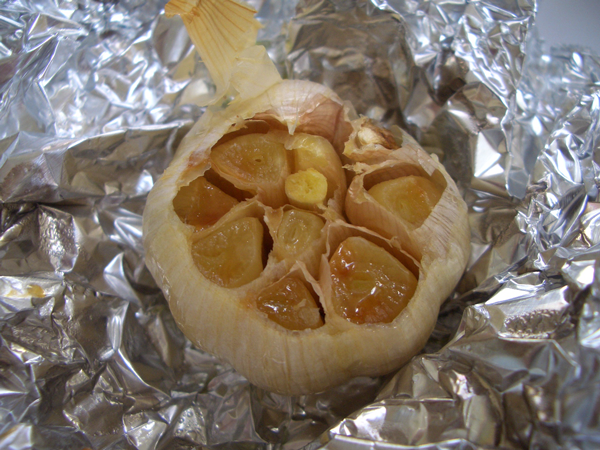 Cut the pointy end off the head of garlic, exposing all the cloves. You can also just cut it in half through the middle of the cloves and use both halves. 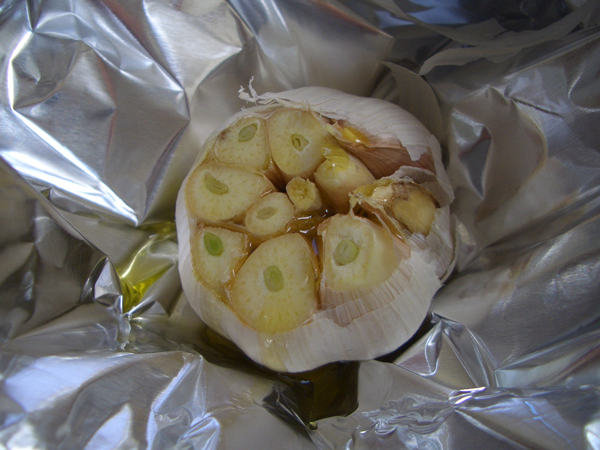 Put the cloves on a small square of foil, drizzle with olive oil and gather the foil at the top. Pop in the oven and bake for 1 hour until the garlic is buttery soft. Squeeze the garlic cloves out of their skin and mash the garlic with a fork. Let the vegetables and garlic cool to room temperature. 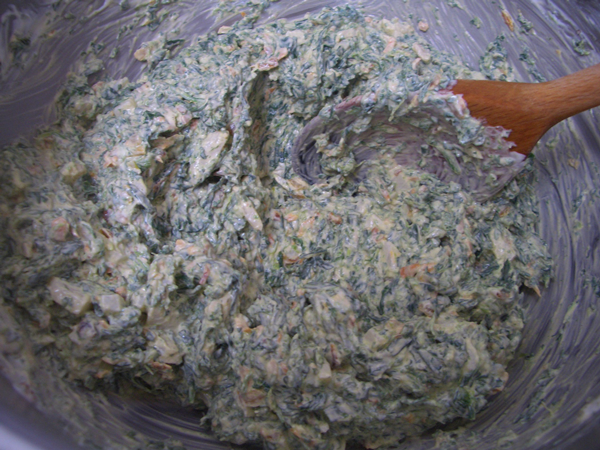 Combine the spinach, vegetables, garlic, water chestnuts, mayo, sour cream until well blended. Taste and season with salt and pepper if you like. If the flavor isn’t as strong as you’d like, you can sprinkle a little garlic powder into the dip. 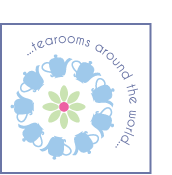 Start with a 1/4 teaspoon and move up from there. Chill until ready to serve. The flavors are best when the dip has been made the day before and the flavors allowed to meld. 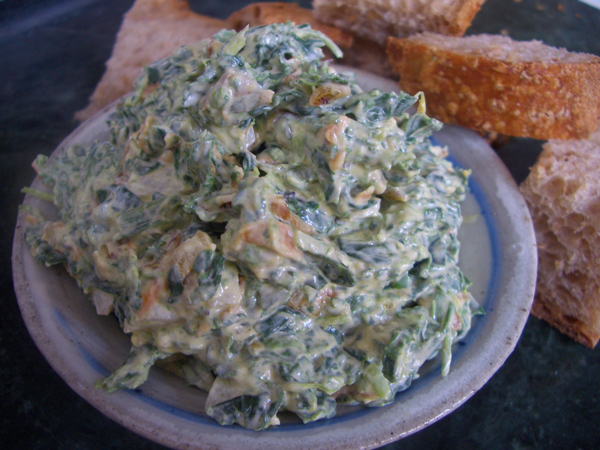 Spinach dip is typically served with cubed baguette, but it’s also great with hearty raw vegetables like carrot, jicama, celery, radish, bell pepper, etc.